The JL Audio M880-ETXv3-CG-TB give you the best of both worlds. 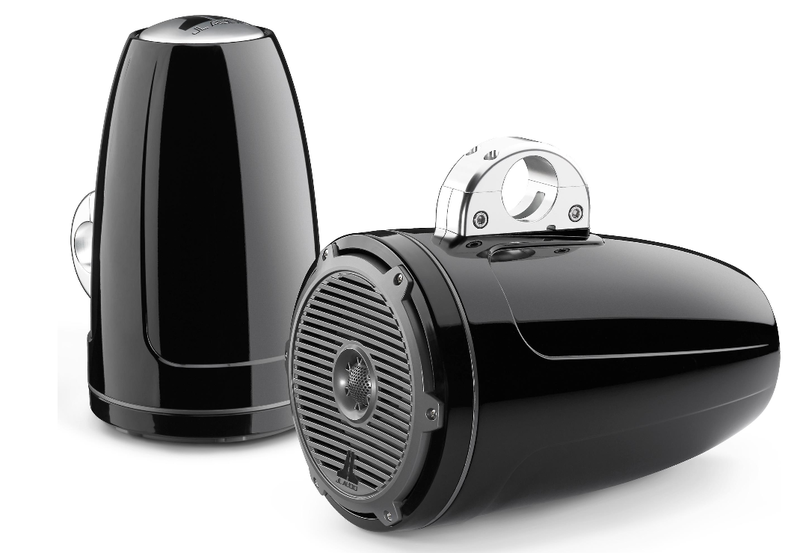 When you’re tearing a lake around at full throttle, you want powerful speakers that can be heard over wind and engine noise. But when you’re relaxing at the dock, high fidelity is more important than high volume and these speakers will do that for you. These massive 8.8″ speakers feature oversized woofer voice coils and silk dome tweeters, so they’ll give you spectacular performance, whether you’re at the marina or miles offshore. Each of the injection-molded enclosures features a decorative, aluminum logo cap on the end opposite the speaker, and is designed to mate with the JL Audio clamp system (sold separately). The wire exits through the center of the mount, so it stays high, dry, and out of sight. These long-throw speakers will look great on any boat.